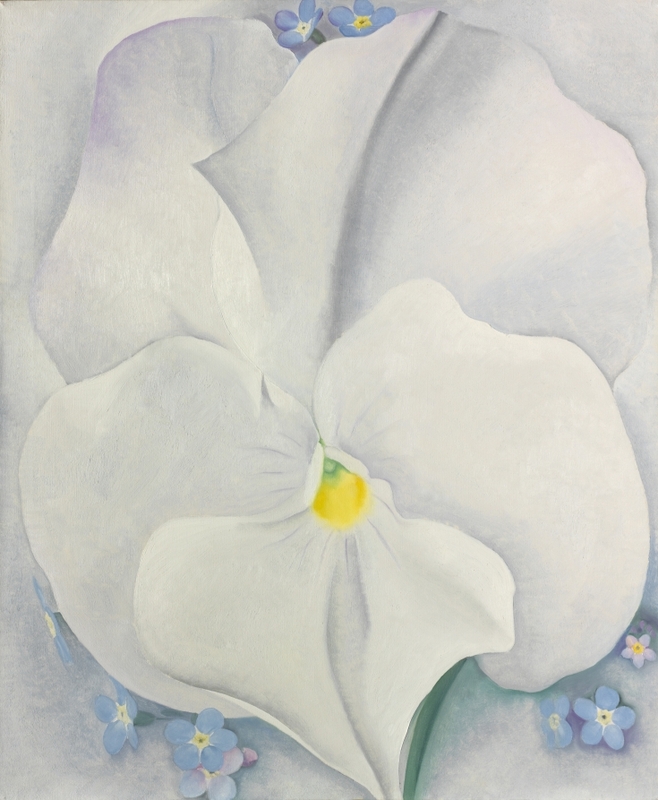 O'Keeffe is best known for close-up flower subjects whose magnified forms fill the entire space of each canvas. 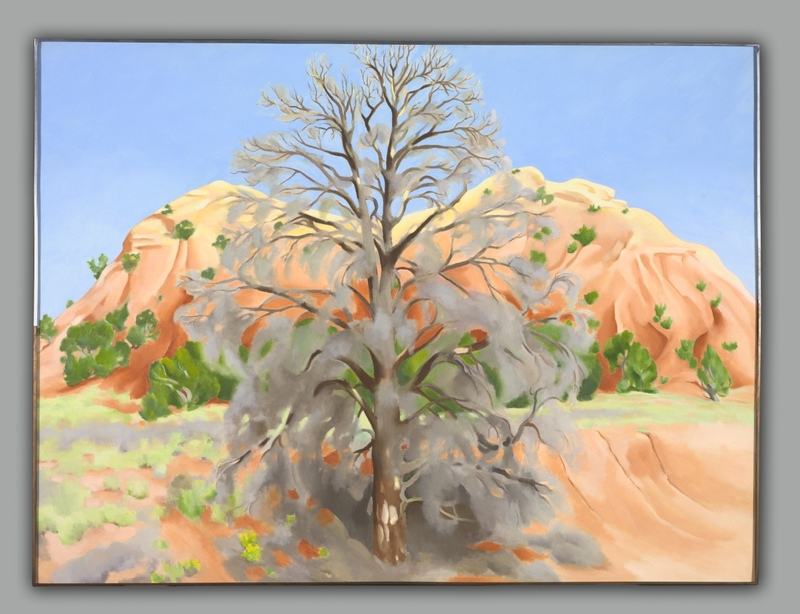 Likely inspired by similar compositions in modern photography, these images are not only celebrations of nature, but also striking essays in abstract design. 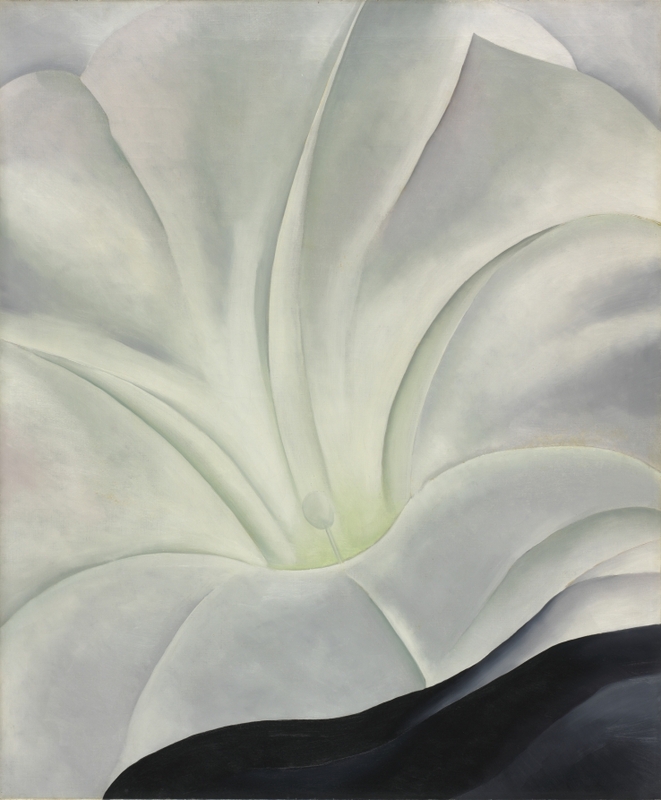 Although many critics interpreted O'Keeffe's flower paintings as reflections of femininity in general and female sexuality in particular, the artist strongly opposed such readings. 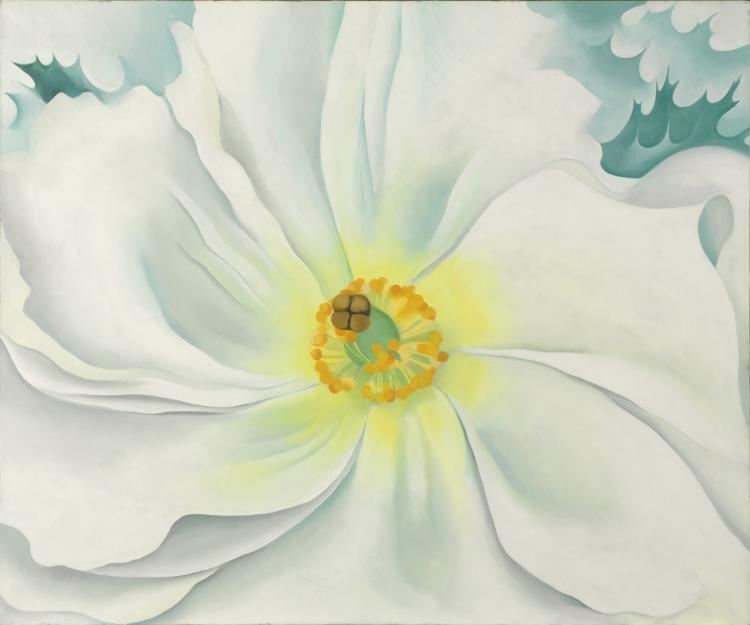 Throughout most of her career, she frequently attempted to persuade others to discuss her work without referring to her gender, writing on one occasion, "I have always been very annoyed at being referred to as a 'woman artist' rather than an 'artist.'"